I coach women to rediscover their identity through self-awareness and empowerment. I’m passionate about showing women how to embrace change and start thinking differently about their life. Sometimes people just need a little push to move forward. 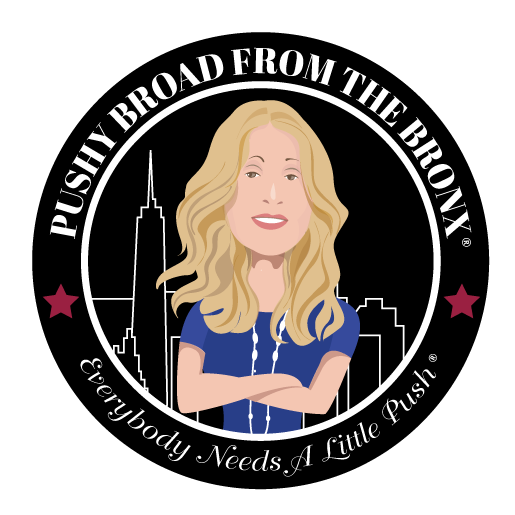 The Pushy Broad From The Bronx will help you do just that! Want to ask me a question about your job, your relationships, or just life in general? I’m here for you. Ask me anything! Stuck in a rut? Ready to make a change? Needing a little push? Check out my podcast. I share REAL stories with REAL people who are all taking control of their lives. What are you waiting for? Ready to take the biggest leap you’ve ever taken, and land on your feet? My courses are for you. It’s personal development for the pushy broad or bro that’s ready to take charge. Don’t Hesitate To Introduce Yourself! Don’t be shy. I don’t bite. I also won’t share your info with anyone, even if you’re guilty. Ask me anything, I’m an open book!